hether you’re shaving for a job interview, just to please your wife, or because you’ve been rocking the clean-cut look for a while, you’ll need a quality shaving cream you can count on. Choosing a cheaper shaving lubricant may leave you looking red, sore or you may even have to delay the Uber while you nurse a continuous stream of trickling blood along your jawline. Been there? It’s probably not your shaving technique, it’s most likely the cause of poor-quality shaving cream or the wrong type of shaving product for your skin. Shaving cream – for those just arriving from Mars – is the perfect formula to lubricate your chin, cheeks and throat before getting down to some facial maintenance. One of our earliest civilizations recognised the need for shaving cream and so should you. Now, we don’t recommend using animal fat and any other particular ingredients that our Bronze Age buddies chose, but we do recommend having a good look at what’s on offer. That’s what Men’s Gear is here for. We’ve had a good look around at the different shaving creams on the shelves at the moment and chosen our twelve favourites (yes, we did struggle to narrow it down to the top ten) that we think every guy should be aware of. We’ve chosen creams to suit different needs and guys with different levels of skin sensitivity so there’s something for everyone. 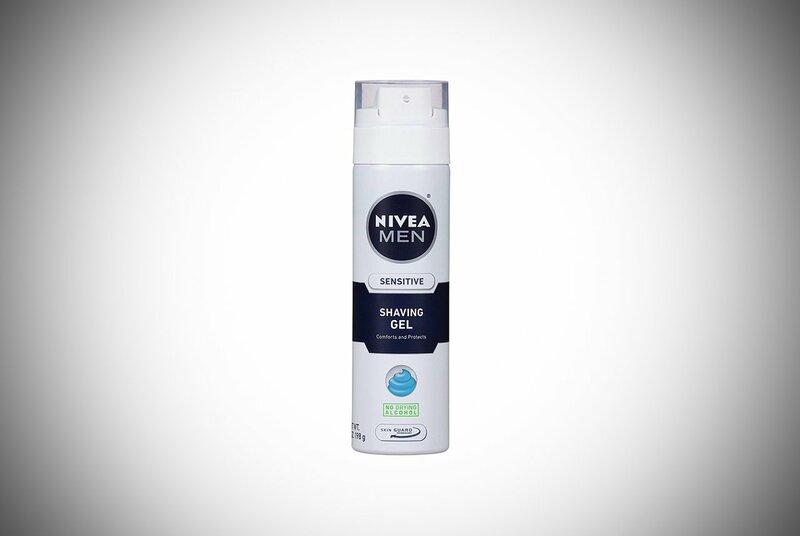 Nivea are no strangers to us guys and our partners. We have been slapping their products from head to toe for years and seeing some great results. Their shaving gels are no exception. Some may criticise this product because it is a gel in a can and may not make our hairs stand on end ready for a close irritation-free shave. However, this sensitive shaving gel has been specifically designed for use by us guys with skin a little on the sensitive side. It provides an extra thick lather to give you a bigger barrier between your blade and the top layer of your skin. This is so users experience less razor burn and avoid irritation. It also contains the added ingredients of aloe, vitamin E and chamomile extract to soothe skin during and after your shave. Leaving you with a soft complexion, a healthy glow and a close shave every time. The top guys over at Taylor of Old Bond Street have manufactured an impressive shaving cream. This creamhas been made with only natural ingredients to avoid unwanted confrontation with a formula that could flare up irritation and soreness. One of the best things about this cream is that it comes complete with a mixing bowl, so you can leave the tupperware in the kitchen. The cream has quite a noticeable scent with tones of sandalwood, lavender and rosemary which they have termed as a “masculine bouquet” – whatever that means? One thing to be weary of is that they have been ever so kind to provide a free mixing bowl; if you want the full classic gentleman experience, you’ll have to buy a shaving brush separately. Straight from winning their grooming award last year, Cremo have brought their original shaving cream to the market. The first tube-based cream on our list does require mixing with water (a good sign) but they’ve managed to make this as convenient as possible; you won’t even need a mixing bowl. Instead, you simply dampen your face with hot water and apply an almond-size dollop of their cream by massaging it in and mixing it right there on your face. 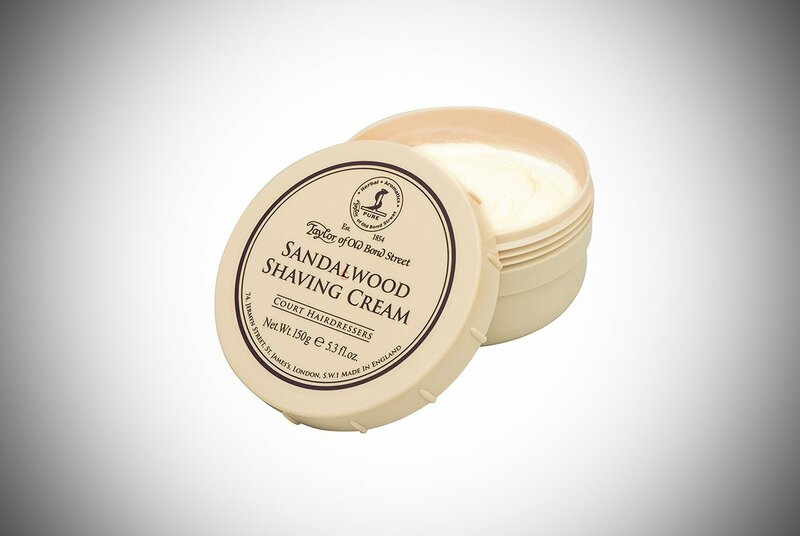 The cream will give you a close shave without leaving your cheeks and throat red or cut. They’ve included lots of natural ingredients in their product but one of the most innovativeis using slick molecules to enable the smooth gliding action of any quality blade. The product wasn’t tested on animals, so there are still some cats and dogs knocking around with killer beards. We’ve got nothing bad to say about these guys’ work. Their product won’t even break the bank! 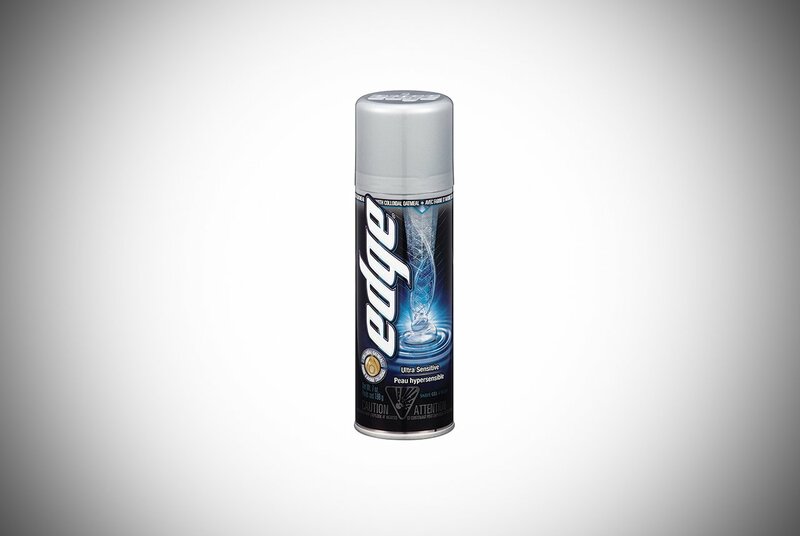 The Edge Ultra Sensitive Shave Gel for Men is a super cheap alternative to those other canned shaving gels with all the same perks. Within Edge’s workshop of shaving cream wizards, they have been adding allantoin and colloidal oatmeal – which we’re sure you’re familiar with – to make shaving less of a strain on your skin and prevent irritation. They have also avoided using any dyes whatsoever and this gel has been dermatologically tested. They pride their product on its ability to protect but simultaneously allow for seamless razor glide. They do however recommend using a specific razor with their product for best results. Whether there is some scientific reasoning or innovative design behind this or it’s just a sneaky marketing trick, we’re not sure. If you’re a guy who is not here to look for a product to keep your cheeks smooth and hairless, but rather a product that will allow you to keep your head smooth, Pacific’s Natural Shaving cream may be for you. Their shaving cream can be used on any part of your head and includes natural and plant-based ingredients to prevent redness and improve post-shave comfort. Just add a little water and you’re good to go. Their product is another cruelty-free one as no animals were tested on during manufacturing and all of their ingredients make up an impressive paraben-free vegan formula. This USA-made product is perfect for week-long business trips as its small dimensions allow it to be carried onboard your next business flight without any problems. You can use it anywhere at any time! We’re back to our household names again with Gillette’s Fusion ProGlide Sensitive 2 in 1 Shave Gel. Their product will not only offer a close shave, its ingredients also make for a post-shave cooling and calming experience. Skin will be left soothed after using this gel, but one of its more unique features is a convenient gauge down the can’s side so you can see when you need to order a new can before it’s too late. No longer will you be left cursing in front of the mirror questioning if you can somehow make a shaving cream concoction from hot water and your wife’s expensive face cream – and get away with it. 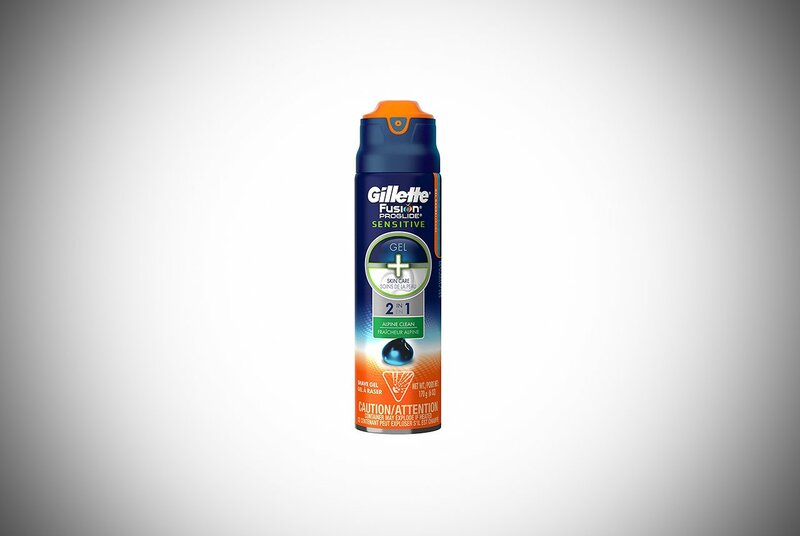 Again, Gillette do try to push one of their razors with their shave gel, but we suspect this is another marketing technique rather than a necessity. Canned gels remain inferior to creams and tube-based products due to their lacking ability to make hairs stand up. If you’re a guy that loves the nice smooth feeling after a close shave and loves doing your bit for other people, the Marlowe No. 141 Men’s Shave Cream could be right up your street. 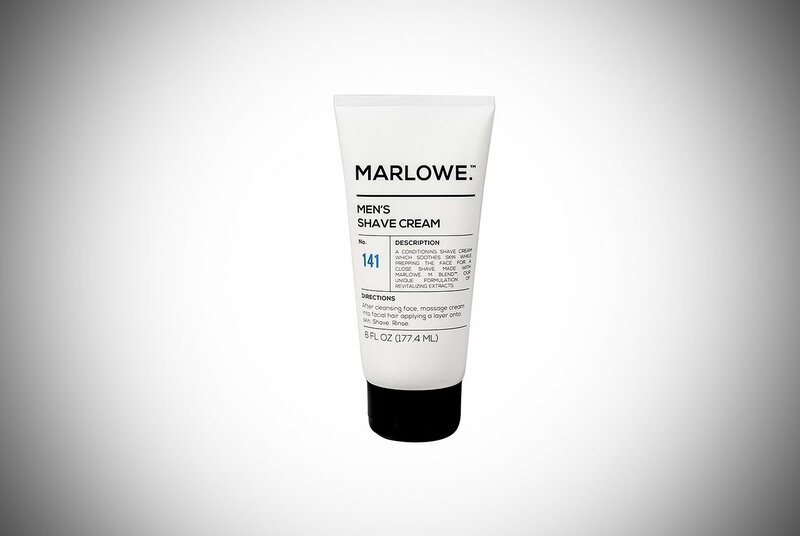 Marlowe have pledged that with every unit of their shaving cream sold, they will provide soap to someone at risk of a hygiene related disease. Top work guys! The product itself is just as impressive. They have included coconut oil and shea butter to ensure your shaving rituals keep your skin protected and leave it super soft. None of the bad stuff is here either. Only natural calming ingredients are used and during their USA-based manufacturing, they don’t test their work on animals. Like the other creams, you simply apply to a wet face and get shaving; once you’ve finished, you may even notice scents of citrus and wood-based aromas. The next shaving cream under our beady eye is one from Proraso. If you’re an Italian man or have some Italian heritage running through your veins, you’re probably already aware of these guys’ celebrated work. They must have put down their pizza with excitement when they thought up this exceptional shaving cream that Italian men have been using since the middle of last century. They applied the same patient detail into their shaving cream as they do their wonderful food. The product itself is somewhat fermented for three days before being packaged. One of the key features of this cream is the elastic and extremely thick lather you get from it. You do need to mix it with some water before using and they also strongly recommend using a brush too. When you see the cream in its final glory you’ll be certain of a painless and smooth shave. We didn’t even get a chance to mention any of the 95% natural ingredients either. Well done guys! If you are looking for 100% natural ingredients, look elsewhere! 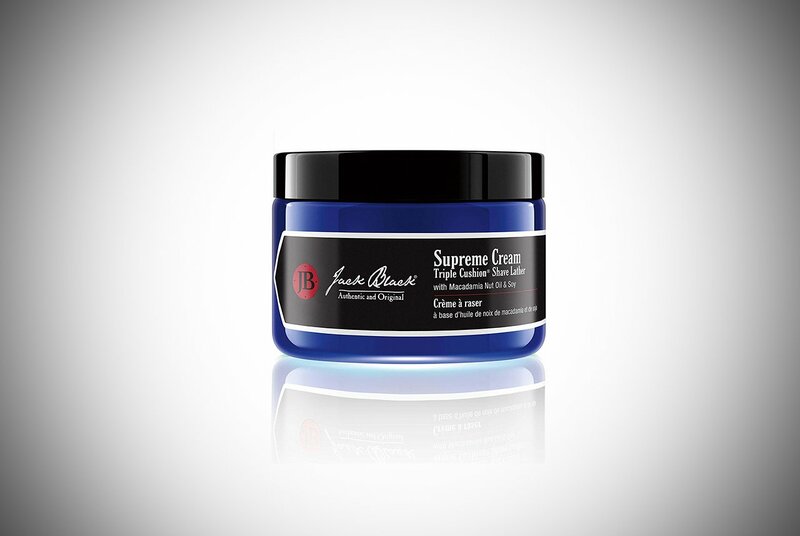 Just like Jack Black was a bit of an all-rounder, the Jack Black Supreme Cream Triple Cushion Shave Lather has a lot going for it. You’ll be rocking the clean shave just like Dewey Finn rocks, well, rock music. Obscure film references aside, this shaving cream gives three layers of hydration to give you a sound boundary of protection for a close but risk-free shave, while adding some much-desired moisture to the skin. The cream includes many nutritious oils to give you the smoothest shave possible without drying your skin. 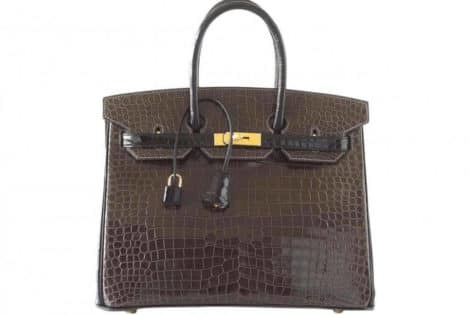 If this one isn’t for you, one of their related products is worth a quick mention. Their beard lube offers the same quality as the supreme cream but is translucent so you can shape your goatee style or neck line easily rather than second guessing behind layers of cream. 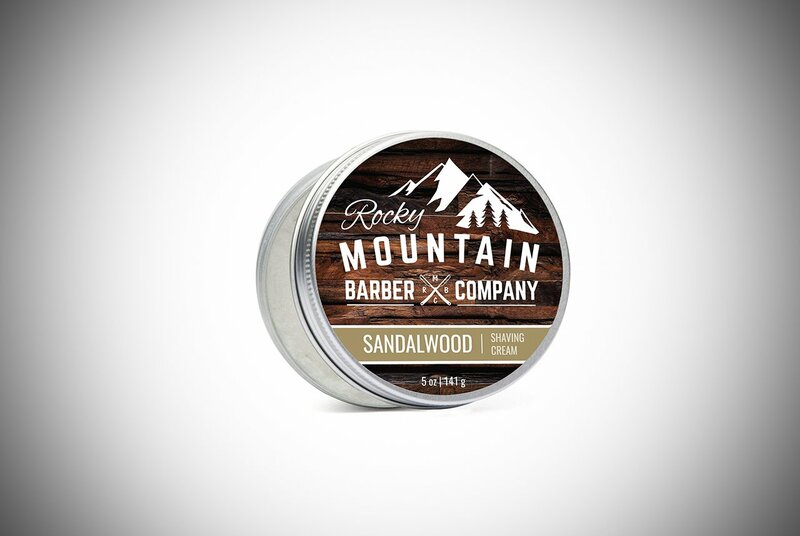 Sandalwood oils have made a reappearance on our list with the Rocky Mountain Barber Company Shave Cream. Sandalwood oils are an antiseptic and make it suitable for sensitive skin types and people suffering from acne. This maybe the coolest looking shave cream we’re featuring. It’s a bit alternative and is somehow a cross between a coffee in a downtown café and a sip of whiskey on the edge of a mountain face. Along with the aforementioned oils, the cream also makes use of glycerin and coconut oil to make it perfect for guys prone to razor burns. They don’t add any nasty ingredients to their 100% natural cream to further repel any unwanted irritation. One of the best things about this cream is that it’s manufactured in small batches to ensure every batch has consistent quality. Sandalwood oils act as an antiseptic, making the cream perfect for sensitive and acne prone skin. 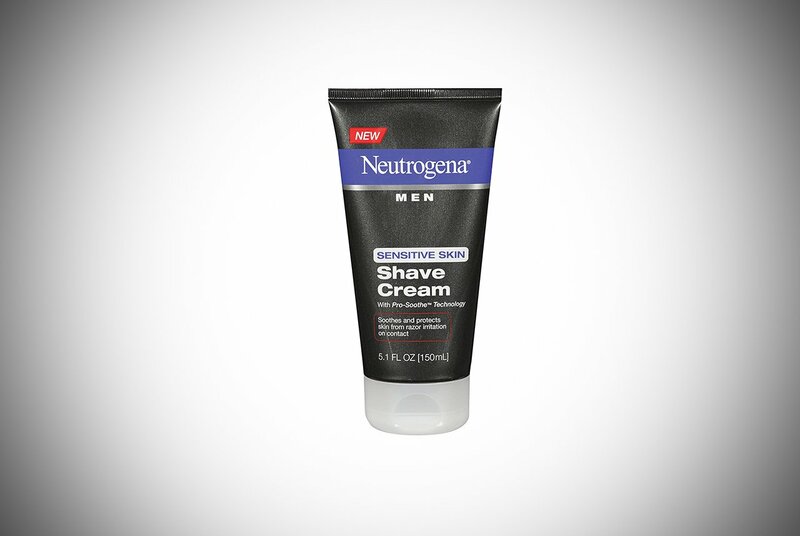 Another well-known brand is Neutrogena and their effort at a shaving cream is quite remarkable too. 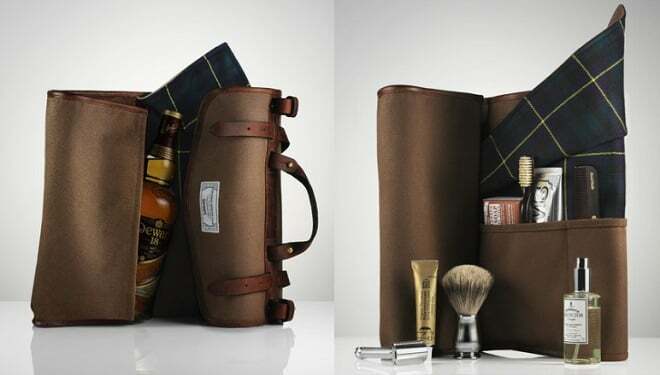 This one is suited for guys struggling with their skin, maybe the younger gents among our readers. This shave cream has been confirmed by dermatologists to not only protect your skin during close shaves, but to improve your skin as well. Its ingredients will not clog your pores and cause breakouts like some other creams. It’s formulation also prevents razor bumps and ingrown hairs from developing. Although they haven’t shouted about this themselves, many reports say the cream is rather translucent, making it great for styling facial hair such as squaring edges, sideburns and neck lines. Maybe Neutrogena want us to join their marketing team? 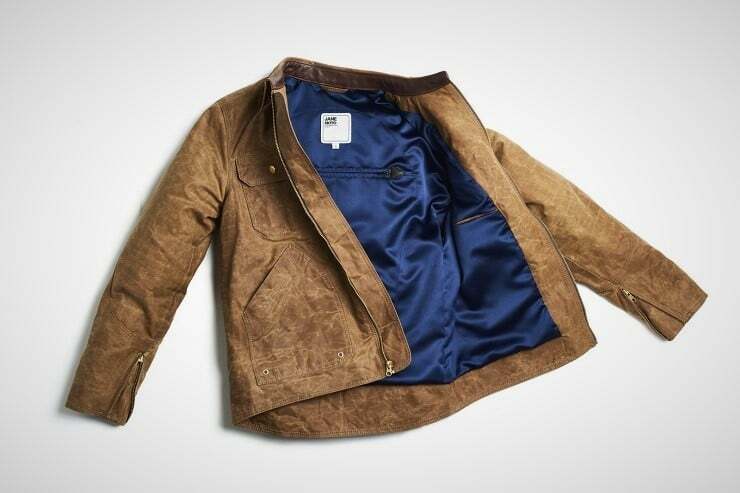 After featuring in some other men’s magazines, Brickell have finally won over our more-sophisticated taste at Men’s Gear. Deservedly so we might add. Their brushless shave cream is another cool looking tub product. 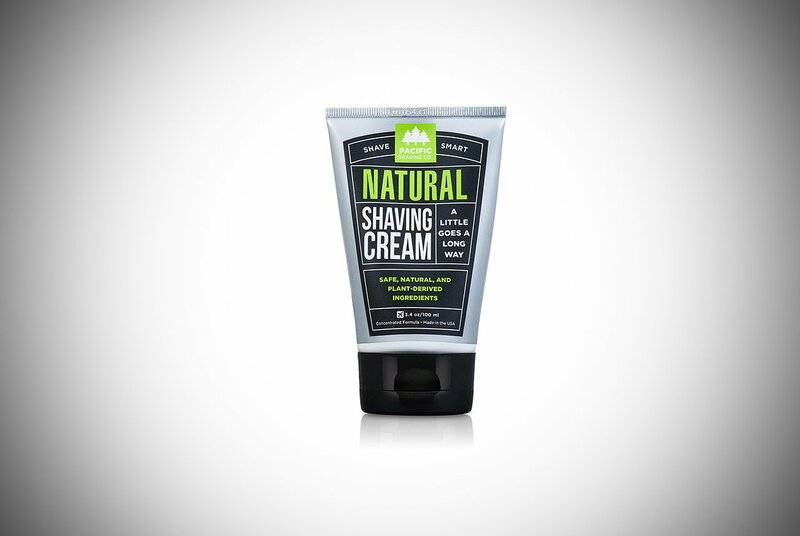 They boast a massive amount of natural and organic ingredients in their cream that allow your shave to lift hairs and cut close to the skin without causing unwanted and rather unsightly nicks. Your skin will also be left smooth and soft with thanks to aloe vera and shea butter. This cream isn’t just aimed at one skin type but at any guy at any stage of life. 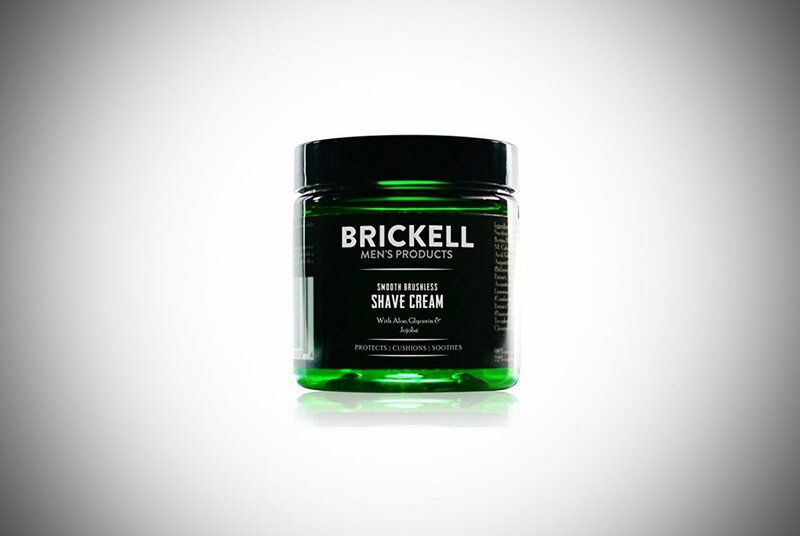 From first-timers to life-experienced gents, you’ll all love this Brickell product. What Are The Main Benefits Of Using Shaving Cream? There are some obvious and not-so-obvious benefits of using shaving creams. The main function of it is its core benefit. That being its ability to soften hair and moisturize the skin. By doing this, you needn’t apply much pressure with your razor when shaving. Less pressure equals less cuts and damage to your skin while still achieving a close shave. Overall, shaving cream provides a barrier to prevent you slicing your upper most layer of skin and preventing irritation. It has another benefit and when we tell you, some guys may realise they’ve been shaving wrong their entire lives. Shaving cream also makes your hair stand on end instead of lying against your cheeks. This makes it easier to get a close shave without skin irritation. If you’re a guy who hasn’t been applying your shaving cream against the natural direction of your beard, take a good look in the mirror – and do it right next time. There are two more benefits that only the better brands may help you with. Some shaving creams also nourish your skin and provide nutrients to hair follicles for a healthy regrowth. Some are even fragranced to give your face a nice odor post shave. Just be careful these fragrances aren’t going to irritate your sensitive skin. Shaving Cream Vs. Shaving Gel? You’ve probably not given this much thought and that’s because the differences are very subtle, but there are some differences between shaving creams and gels. The biggest difference is that the better shaving creams usually need to be mixed with a little bit of water while gels don’t need to be mixed. These are usually found in tubs or tubes and are more expensive but ultimately worth the results. On the other hand, gels can be used as they come and may be slightly better at lubricating. They’re often found in cans but not exclusively. Whichever one is best for you may not entirely be a choice between cream or gel, but rather a choice between the ingredients involved combined with your skin type and desired results. What we would say though, is that some foams tend to be inadequate against creams and gels. Not all foams are, but many. Why? Well, remember when we mentioned the benefit of creams making your hair stand upright for an easy and irritation-free close cut? Foams that come in cans are usually packed with air which prevents hairs standing to attention as well as the creams and gels allow. This means you don’t get as close a shave, or if you do, you sacrifice some shredded skin for the result. Can Shaving Creams Be Used With An Electric Razor? We’ll be honest, the jury is still out on this one. While we are inclined to say not really and avoid the people who tell you otherwise, they do have some good counter arguments. Using an electric razor doesn’t afford the same close finish as a regular razor does. Naturally, this means there is a much lesser chance of irritation and due to safety guards on a lot of models, no chance of cuts. If you’ve ever been mid-shave as your electric battery dies, you might disagree. These nicks can be a bit startling and leave you asking where the onion cutting ninjas are. Yet, the majority of the time electric shaving is painless and not a threat to your skin. As the purpose of shaving creams are to protect your skin, they are not really needed here and hence our calls to cross the road when you see the people that tell you otherwise. However, some people have started to say you can, and they may have a point. There are now many electric shavers that have been designed for in-shower use and to be used with shaving products. We would speculate that these types of electric razors are aimed at men with extremely sensitive skin that need even more protection from even the safest of shaving methods. What any guy opting for an electric shaver should do however, is clean and lubricate their device frequently – just our two cents. Does Shaving Cream Wash Off Easily? Shaving cream is not a dangerous or difficult substance to remove after use. Once you’ve finished shaving with specs of cream everywhere, looking like a badly shaven Santa, just give your face a quick rinse, or wipe clean with a towel then splash yourself with water. One tip straight from the Men’s Gear locker room is to check your nostrils for lingering cream. Forgetting to cleanse the edges and just inside your nostrils can dry them out and leave them irritated. If you can, but by no means necessary, you should shower after shaving to give your skin a deserving exfoliation before adding some moisturizer on your way out the door. Getting shaving cream on your clothes is a different story. Scraping shaving cream off your suit is usually the result of forgetting to shave during your grooming routine. Sometimes this isn’t always successful, and you’ll need your clothes washing before being able to wear them again. Actually, we’ve even heard that shaving cream can clean up your mess. It’s rumored that these gels and creams are effective at getting coffee spills and food stains out of the furniture, but don’t quote us on that one. Next, we’ll be telling you putting bread in your mouth while peeling an onion will stop your eyes watering (it will!). Every guy is different and while we might think the same way a lot of the time and like a lot of the same gear, when it comes to grooming we all have our own directions. Discovering which shaving products do and don’t work for you can be a matter of trial and error, but boy when you discover the right one, you’ll be as smooth on your cheeks as you are in the bar. Looking for more grooming products? 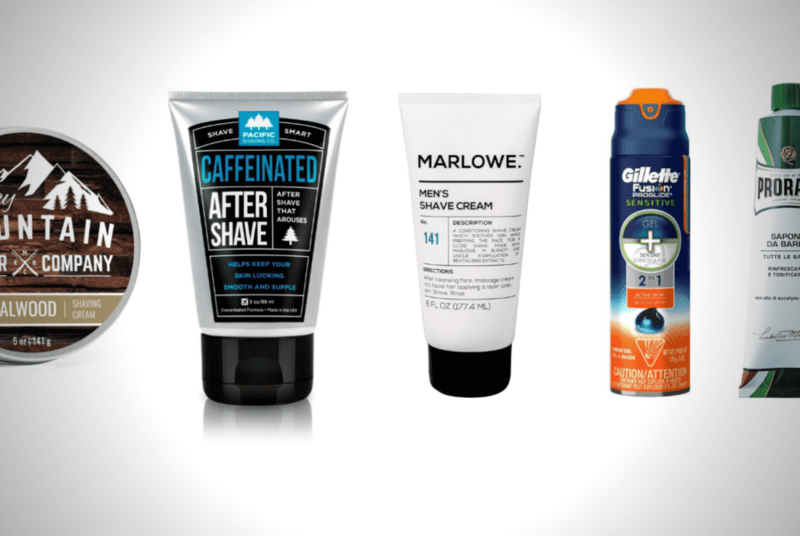 Check out our best mens hair wax buyer guide. 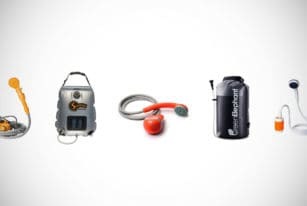 For all you campers that like to stay so fresh and so clean, even out in the sticks, we’ve put together a guide to the best portable showers on the market. Fancy yourself as a bit of a Bear Grylls? 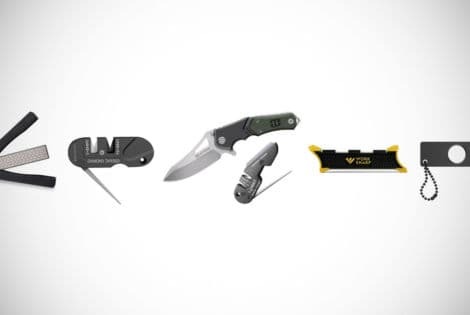 Make sure you are prepared for the elements or hunting trips with the best pocket knife sharpener. 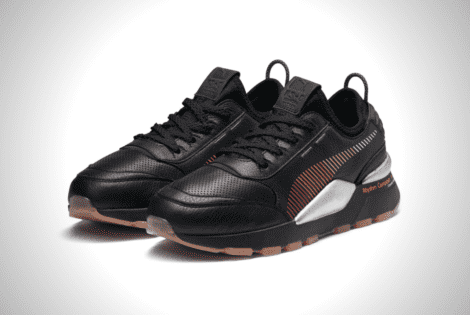 Check out the best ones here!